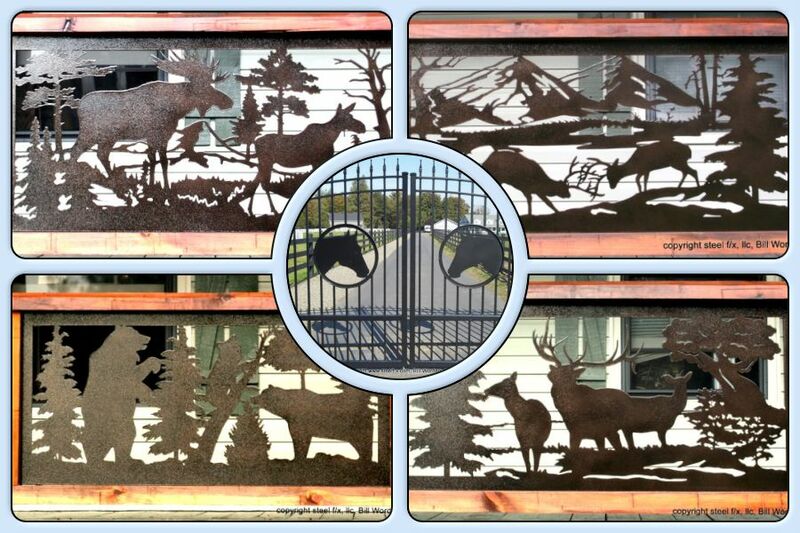 Steel F-X specializes in CNC Plasma Cutting. Beautiful Metal Art. 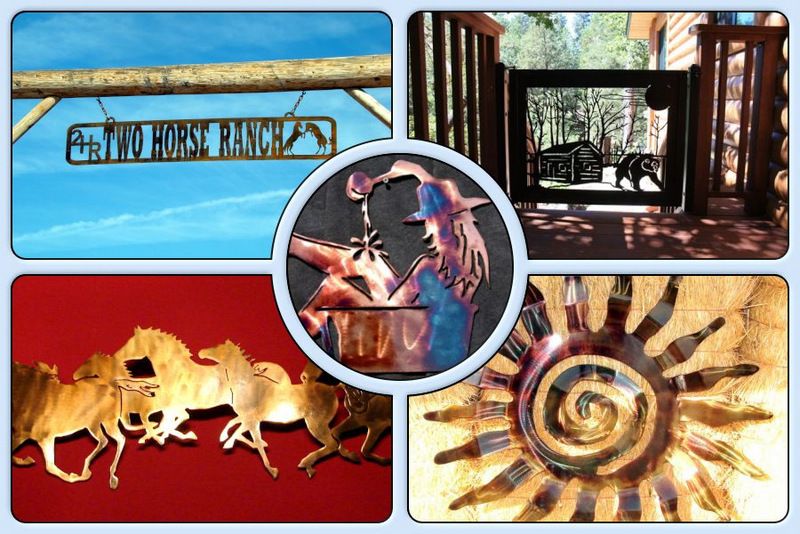 Maker of home decor, life-size yard art, log home railing inserts, wall art, steel signs, ranch entry signs. Point of purchase signage and displays. 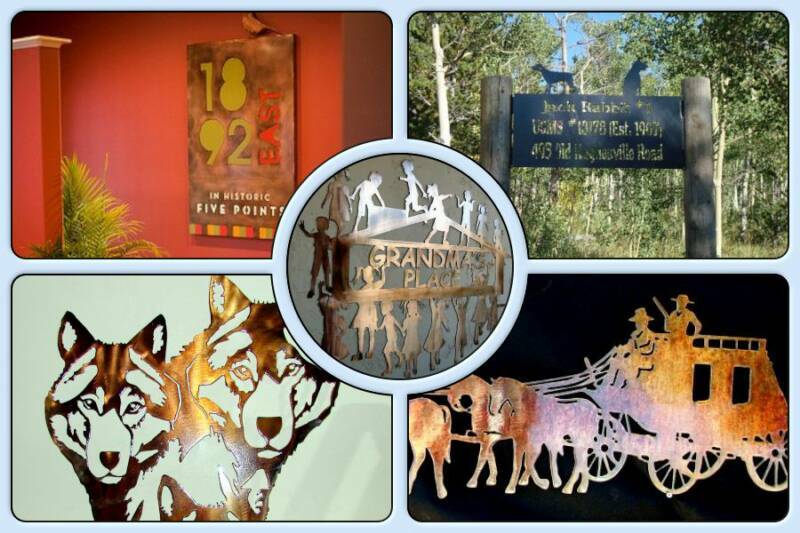 Metal finishing, patinas, powder-coating and indoor-outdoor coatings.Beautiful handmade signs, metal art, and silhouettes. 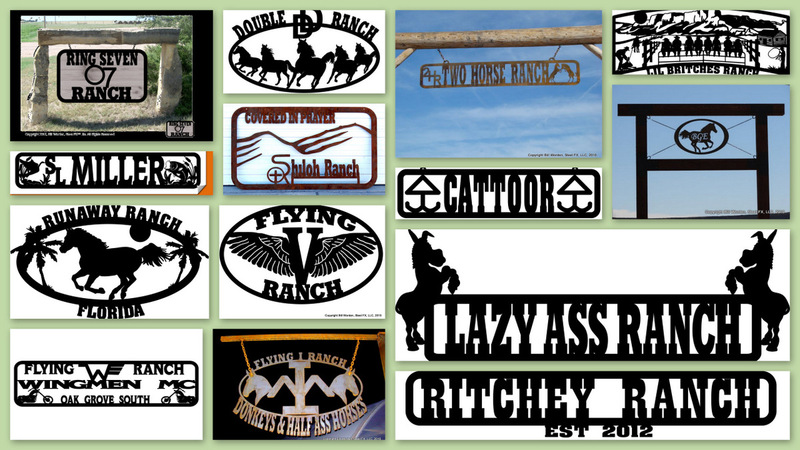 Thousands of images in stock with custom designs for home, ranch, farm, or business. 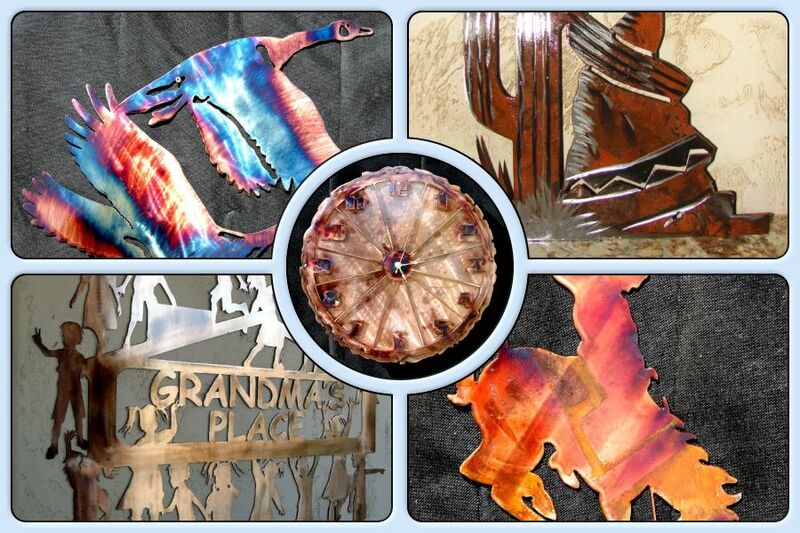 Great Gift Ideas "> plasma-cut steel art signs. steel patinas. Need any Steel Silhouette or Image Life-Size? Choose From Unique, Colorful Patinas, Natural Rusted Steel or Powder Coated Any Color! see here are painted on! The resulting finish is one-of-a-kind, with no two being exactly alike! Are You a Do-It-Yourselfer? Bare Steel Silhouettes Are Very Affordable! Finish (Paint) Them Yourself Or Let Them Rust Naturally! 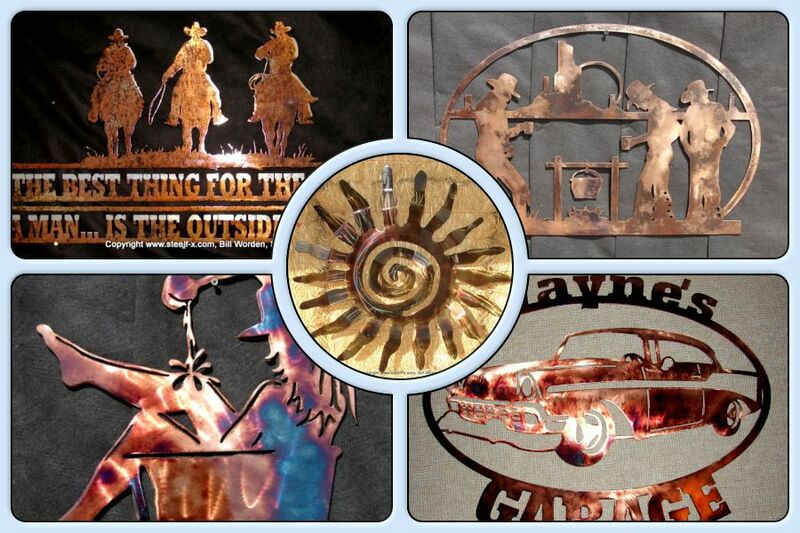 Click HERE to Visit my SUPPLIES Site for Steel Patinas, Dyes & Metal Finishing Products! Call Bill @ 800-710-1273 For More Information! Railing, Gate & Fence Inserts. Design & Fabrication for Your Home, Business, Farm or Ranch. 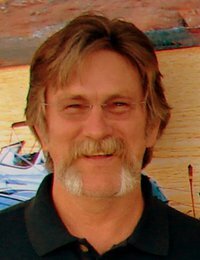 Tens of Thousands Of Stock Images & Themes To Choose From...or We Can "Start From Scratch"
All work is personally crafted by Bill Worden, in whatever size you need. Add Beauty to Your Home or Surroundings. You can own a hand-crafted piece of Americana. Carefully fabricated by me--not mass-produced in a factory. My guarantee is no joke. Customer satisfaction is my first concern. I treat each customer as if they are my onlycustomer. I respond to all inquiries quickly as possible, and do my absolute best to keep my customers happy. Not only do I guarantee great products, I also guarantee great service. You have my word on it! 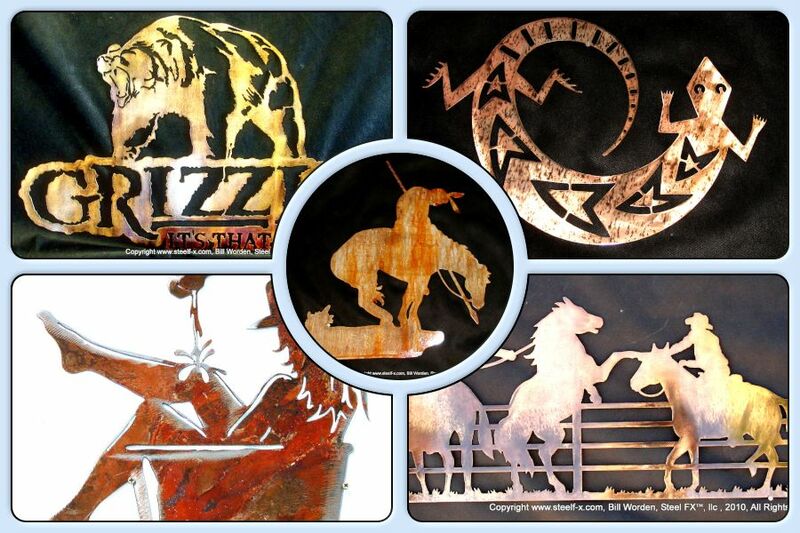 All of my Steel Silhouettes, Signs & Metal Art are individually designed and made specifically for you! Prices are based on size, steel thickness, finish & current steel prices. Please call or email me for artwork & great pricing!